Times change and so do the fortunes of a community. When the coal mines of Inverness shut down after nearly 70 years of production, this little coastal village on the western coast of Cape Breton was left with a scarred stretch of land between it and the beach that the townsfolk felt was the perfect locale for a truly windswept links golf course. It took years of work to get the land rehabilitated and encourage the right investors to get passionate about the idea. What has resulted from this labour of love is nothing short of spectacular. 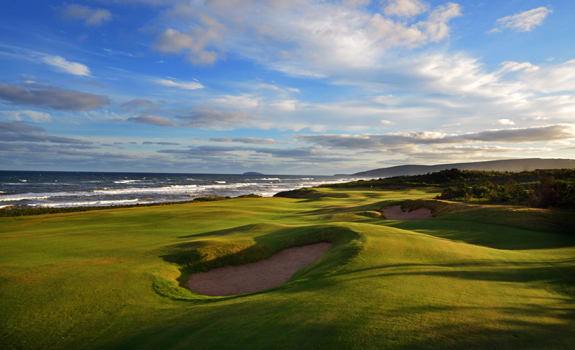 With the opening of sister course Cabot Cliffs in the summer of 2015, this Cape Breton coastline has quickly become the talk of the golf travel world and for good reason. Opened in 2012 to worldwide acclaim, Cabot Links is a remarkable design by Canadian architect Rod Whitman that is the epitome of links golf. Framed on one side by the charming seaside village and on the other with a gorgeous public access beach featuring some of the warmest waters in the northern Atlantic, the course presents as true a links course as you will find in the country. Windswept rolling fescue fairways, rugged deep-walled bunkers and massive multi-tiered greens make this walking only course a truly unique and most memorable experience. 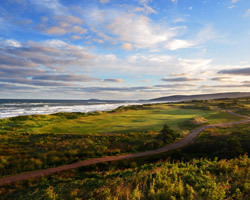 With the opening of Cabot Cliffs some changes were made to The Links as well to provide an even better guest experience. The original routing was adjusted to provide more play options for guests. The new course orientation has created an option for nine hole play that didn't previously exist. Prior to this season the course had the traditional outward and inward nines, but now with a new routing the two nines each have a balanced par of 35 and end at the stunning contemporary-style hotel and restaurant. Cabot Links has a fine variety of holes, but with a layout so filled with beauty, the shot maker's selection will feature the beasts of the routing. The cape-style hole number 6 is routed along MacIsaac’s Pond with the beautiful backdrop of Inverness’ fishing fleet and stunning natural beach. This dogleg left is filled with mounds in the landing area and considerable slopes protecting the green site hugging the water. Hole 11 tells you the welcoming handshake to the back nine is over. 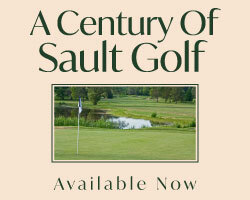 The brute of a par 5 is as true a three-shoter as there is anywhere justifiably earning its #1 handicap rating. Playing over a nasty forced carry filled with thick grasses to a fairway first sloped downhill and then rising to a plateau landing area guarded again by thick grasses right and mounds with bunkers left. Hole 16 is a lengthy par 4 that is the last of the 6 holes that skirt the coast. Playing to an uphill green protected by a deep pot bunker left and large bunker back right this spectacular hole even brings the beach into play for anything pulled left off the tee. The final hole is a fitting close to the round, with a blind tee shot over a ridge. A long iron must be struck well to avoid the OB left and bunkers right of the raised green. Cape Breton's newest golf destination has become world-renowned in a very short period of time since its opening in 2012. 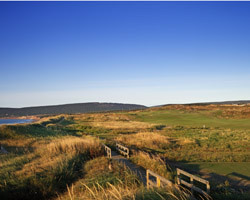 Cabot Links is a truly unique golf experience, bringing traditional links golf to North America and not just the links-style moniker so easily thrown around to courses featuring mounding and deep grass. Stunning vistas, unpredictable weather, firm and fast fairways all are packaged together to create a place where you will be dazzled, challenged and privileged to enjoy a round as golf was originally intended to be played.